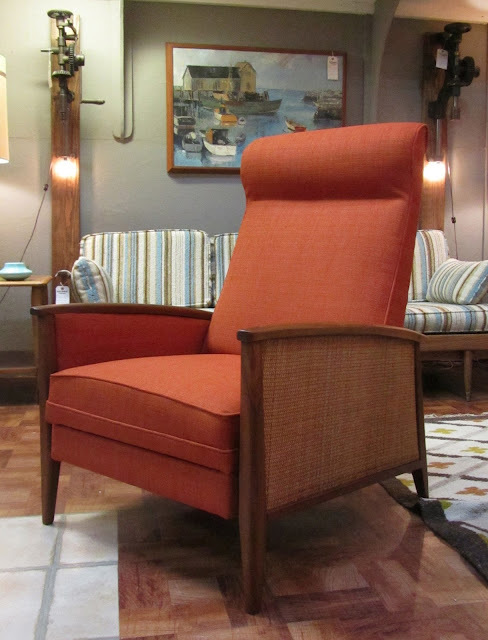 A couple weeks ago, we found this amazing Milo Baughman recliner. 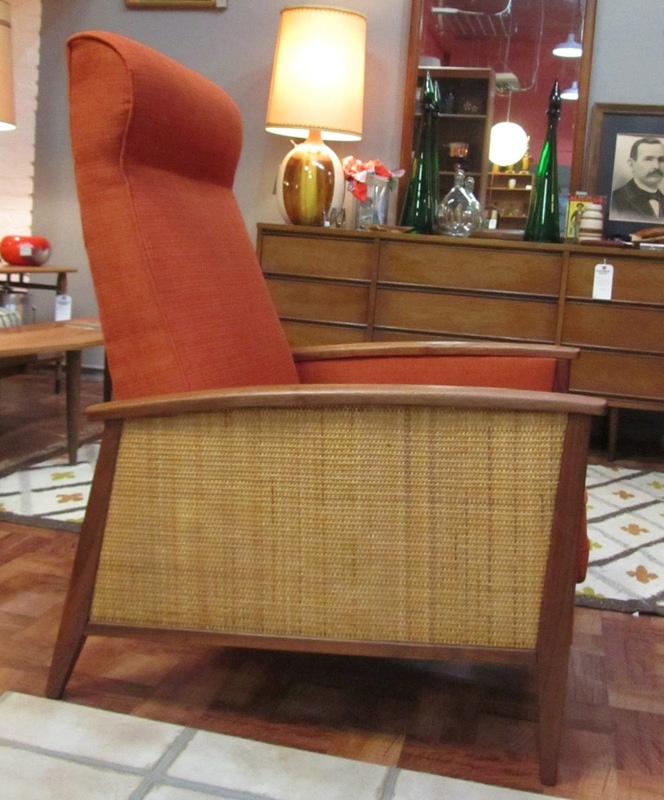 It needed to be reupholstered but the solid walnut and wicker frame and had lots of potential. 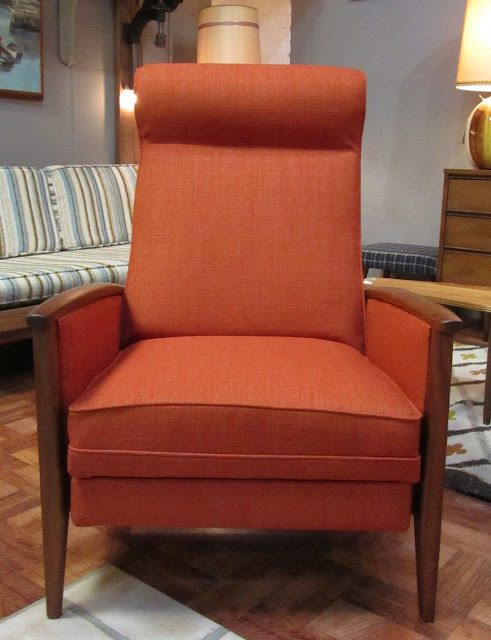 The fabric was warn but a perfect match for the chair so we decided to reupholster it in a similar brilliant orange fabric. beautiful! i've enjoyed seeing your upholstering skills advance. i know my upholsterer cringed the last time i sent him a recliner-he says they're a nightmare!